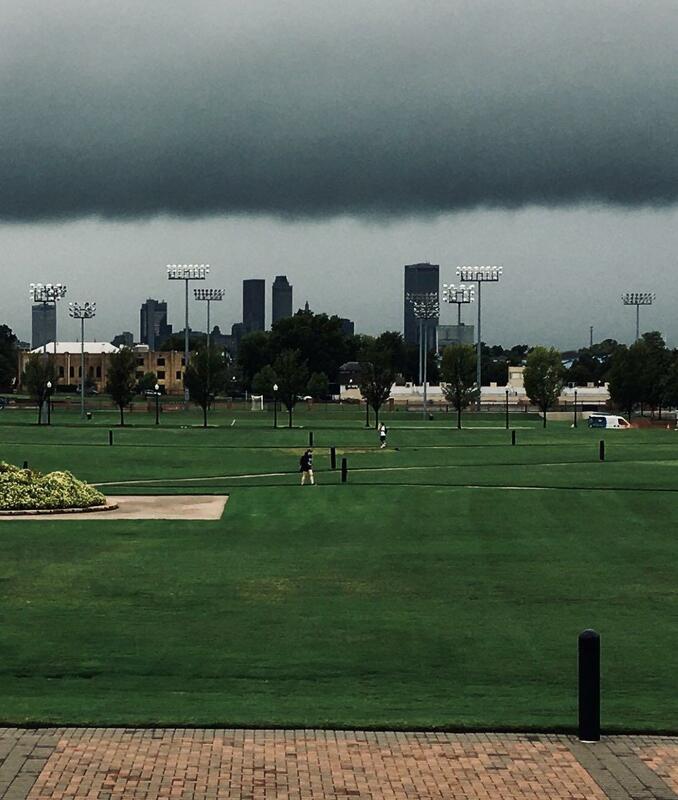 File photo of a thunderstorm rolling over downtown Tulsa. After a chilly weekend, temperatures will warm up for the beginning of the work week. Highs will range from the mid 70s to lower 80s through Wednesday, with gusty south winds. This will result in increased fire weather spread rates, although the overall threat may be tempered somewhat by recent rainfall and higher humidity. A strong storm system will move into the Plains by Wednesday, with the potential for strong to severe thunderstorms Wednesday afternoon and evening. A cold front will move in behind this system on Thursday, with cooler temperatures for the end of the week.